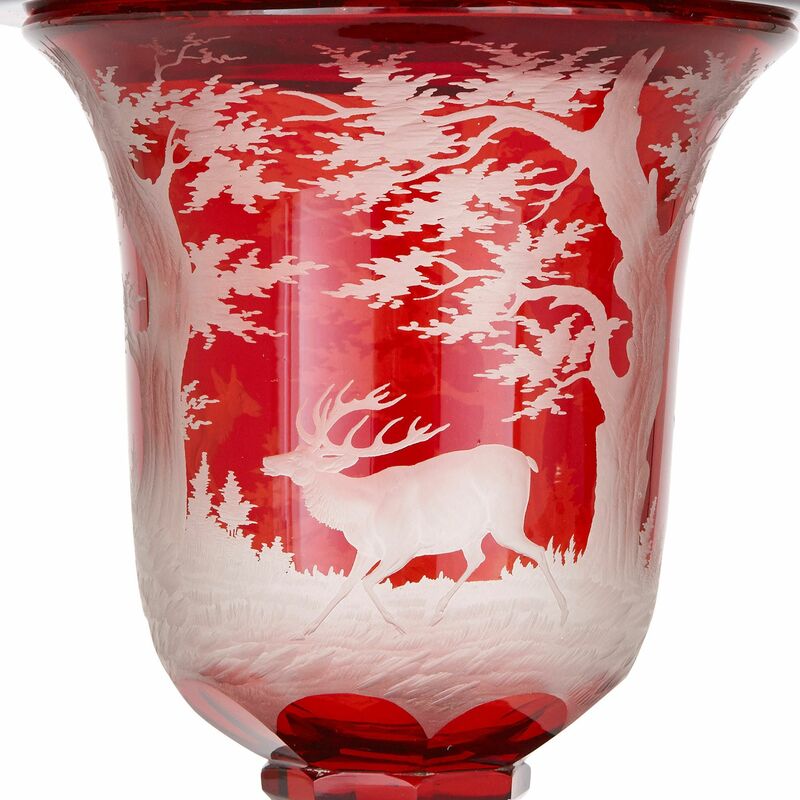 With their elegantly shaped ruby-coloured bodies and etched woodland scenes, these two goblets are exceptional examples of Bohemian glassware. 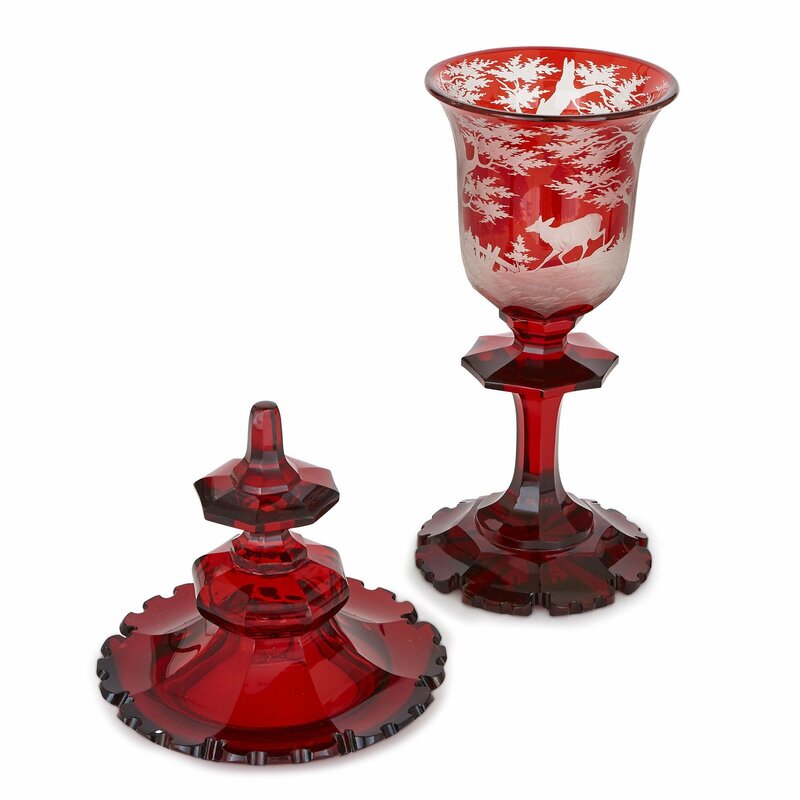 These goblets have been crafted from so-called ‘ruby glass’ or ‘cranberry glass’, which is made by adding gold to the mixture as part of the production process. It is this addition that gives the product its strong red colour. Each goblet is campana shaped, with a long stem and body like an up-turned bell. The vases stand on flared feet, which have been finely cut with petal-shaped lobes. 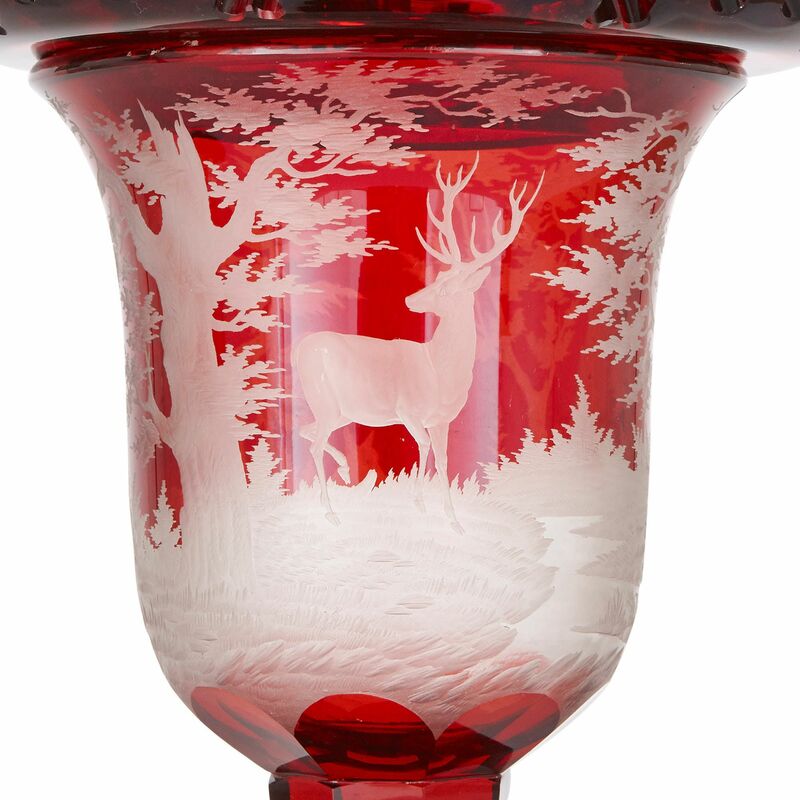 Above, the bodies feature detailed etched depictions of deer in a forest. 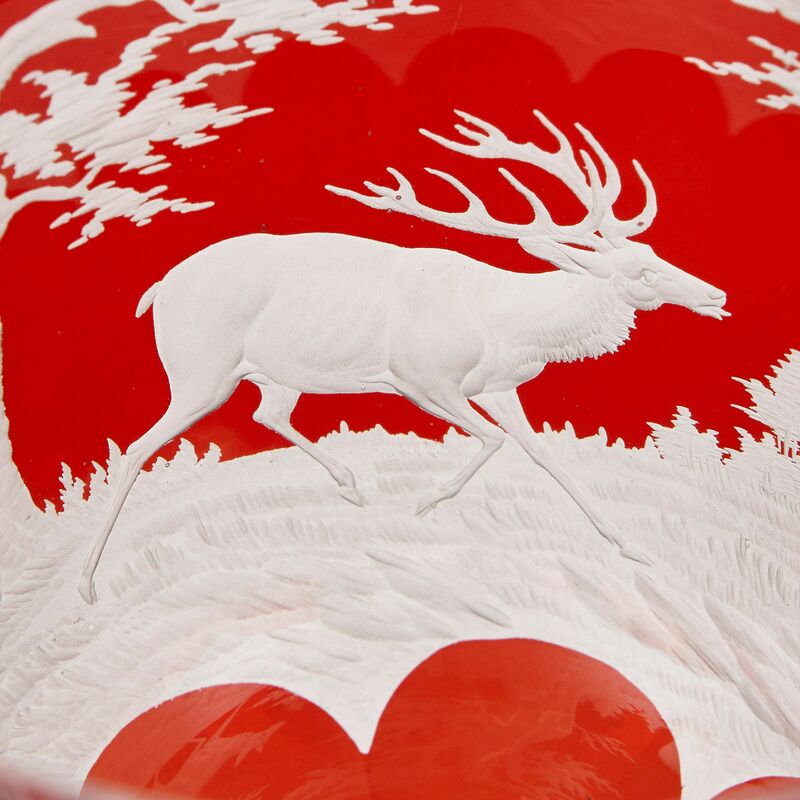 On each, the deer and their environment have been naturalistically rendered, with great attention paid to detail. 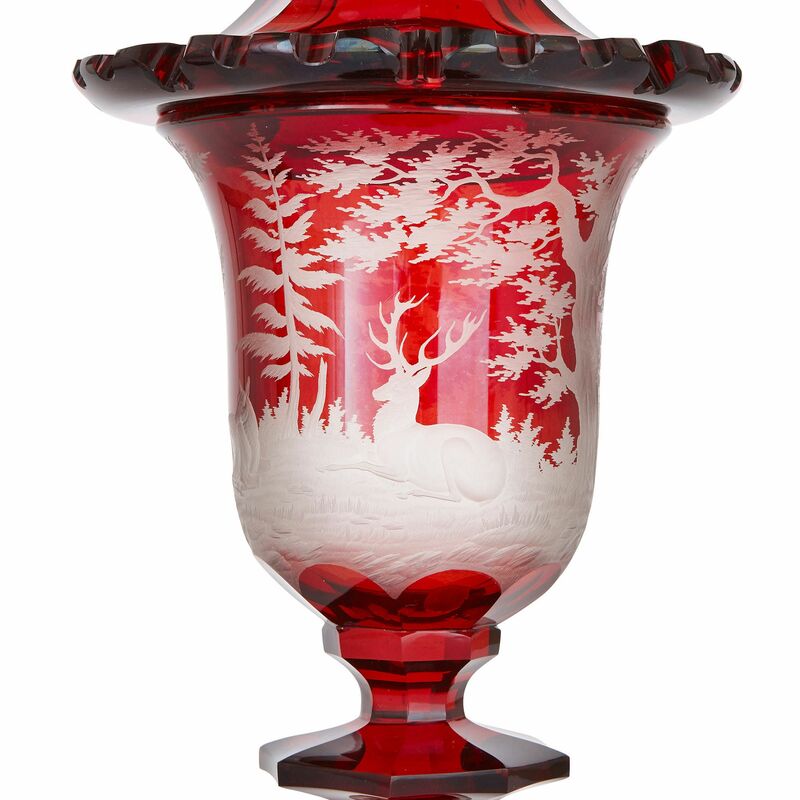 These etched scenes stand out beautifully against the deep red colour of the glass. 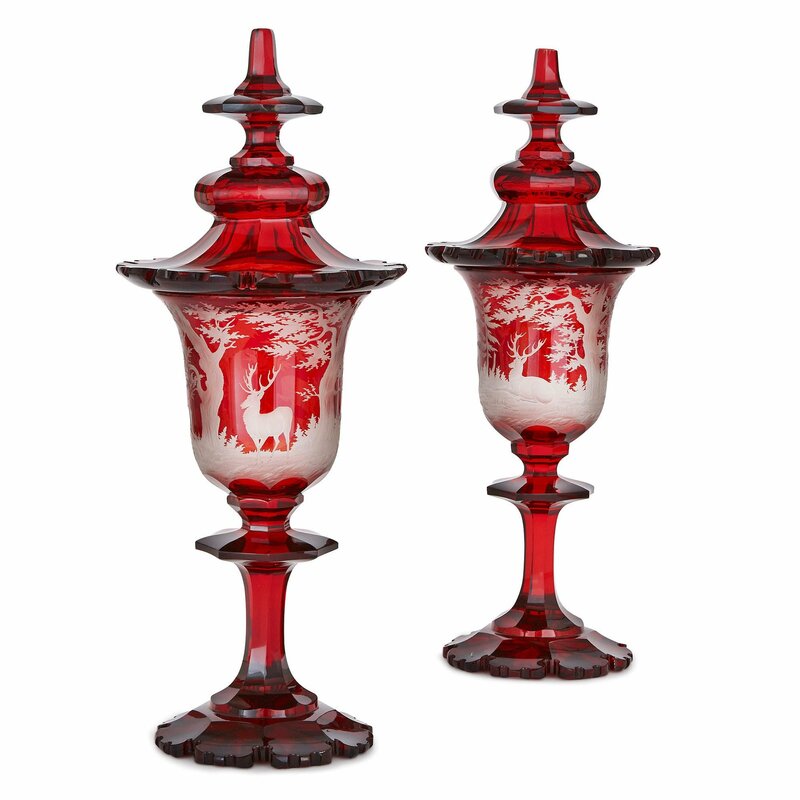 The bodies are topped by lids which are faceted and shaped like the feet, and surmounted by pointed ruby glass finials.